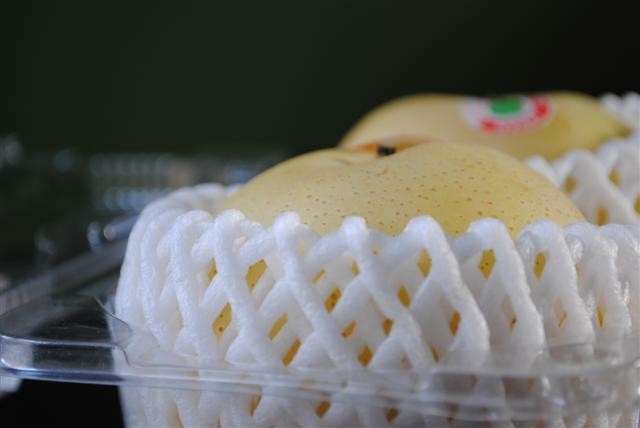 If you have a tendency to drool a lot and you’ve been looking for some way to hide it, then this Twentieth Century Asian Pear is the fruit for you! Pale yellow, almost see-through skin with white to beige flesh. Mellow but full bodied smell, reminds me of apple and maybe nutmeg and maybe butterscotch though not sweet really. Crazy juicy – drips all over, makes a huge juicy mess! Grainy but in a good way – very very crunchy and crispy. Has a dry thin peel, almost like rice paper. The peel isn’t particularly bad, but I could certainly do without it and would love if some mom or dad somewhere would just show up and peel and slice it for me (and then leave) before I eat it. Mild sweetness with a prominent lemon note that isn’t acidic at all. Very rounded, full flavor though subtle. 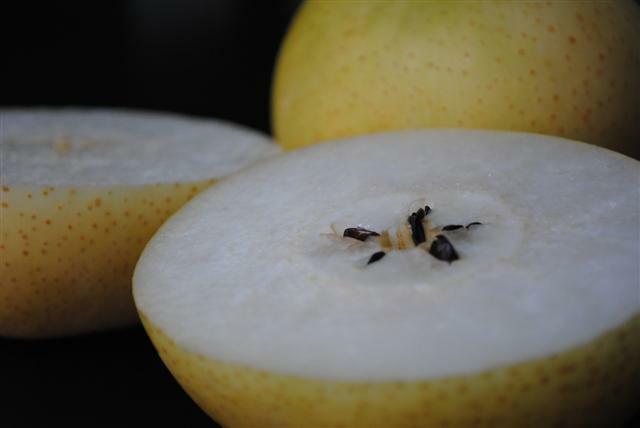 I don’t tend to be a lover of Asian pears generally as they are all texture and juice with little actual flavor. This one is still mild, but much more interesting and it doesn’t have that annoying aftertaste that so many pears have. Completely lovely. 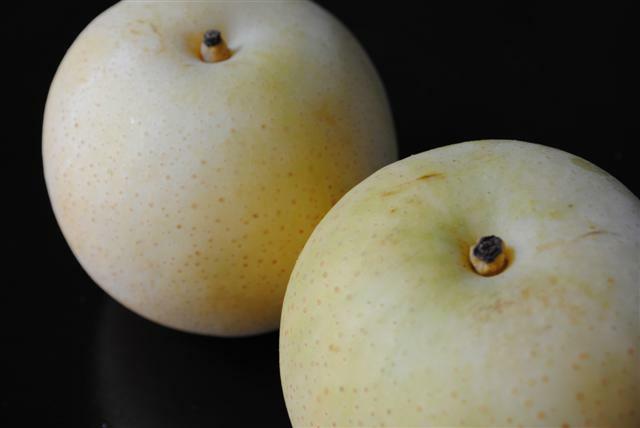 Typically southern California grocery stores and even vendors at the farmer’s market have one kind of asian pear and they have no idea what variety it is – just “Asian Pear”. So I went to the asian market hoping they would have more choices. They had tons of options with the variety names and where they were grown and everything! I was in heaven – Shinseiko, Shinko, Fragrant, Yali, 20th Century, Kosui, Hosui, etc. As I was drooling over the plethora of asian pear options, I turned around to look at their apple selection only to find a pile of “Green Apple” and “Red Apple”. Sweet. 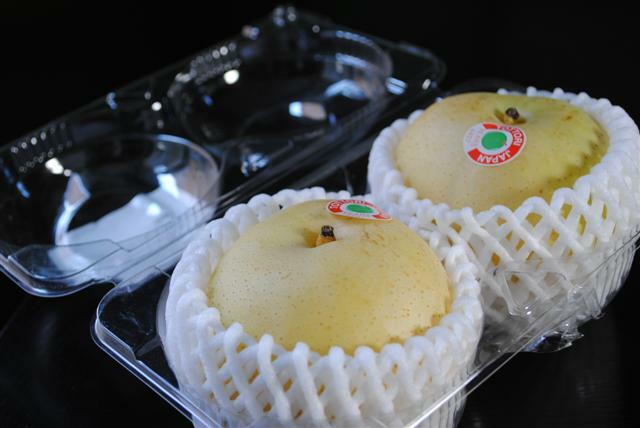 You can buy Twentieth Century Asian Pears at most asian stores, some standard grocery stores and online here. If you get them online, a small amount will go to support the Fruit Maven. So thanks in advance!